Middlebury Money is a local currency accepted only at local businesses in our community in order to keep spending local whenever possible. The Better Middlebury Partnership (BMP) runs the program in partnership with the National Bank of Middlebury. It’s easy! When a customer wants to pay with Middlebury Money, just check to be sure the routing and account numbers are visible and not damaged. If they are not readable, please tell the customer they will need to call the National Bank of Middlebury. 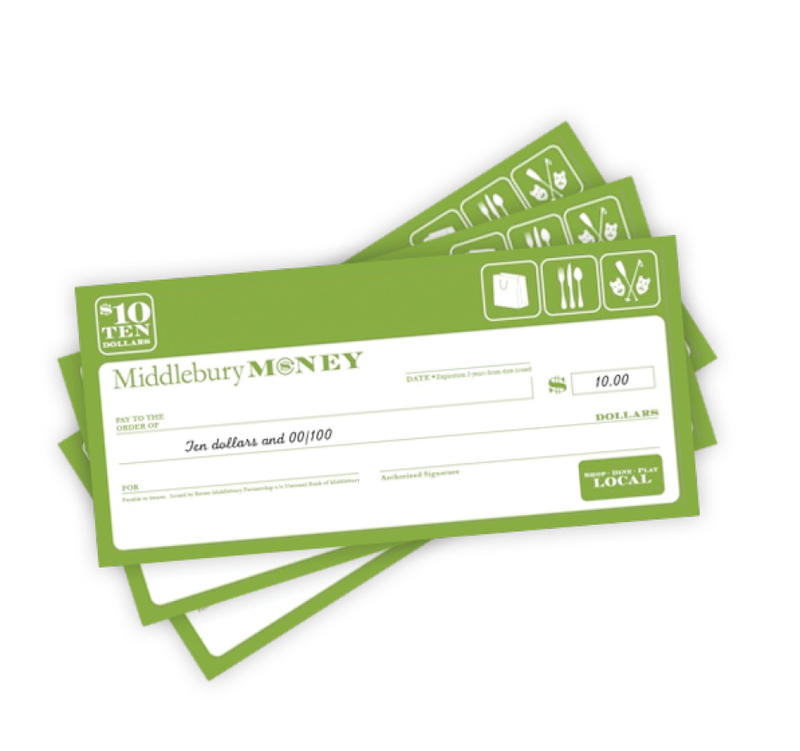 Middlebury Money is an actual check so you can treat it the same way you would a personal check. Endorse the back and deposit or cash at your local financial institution. Get in touch with any questions!